Hi berries welcome back to my blog! 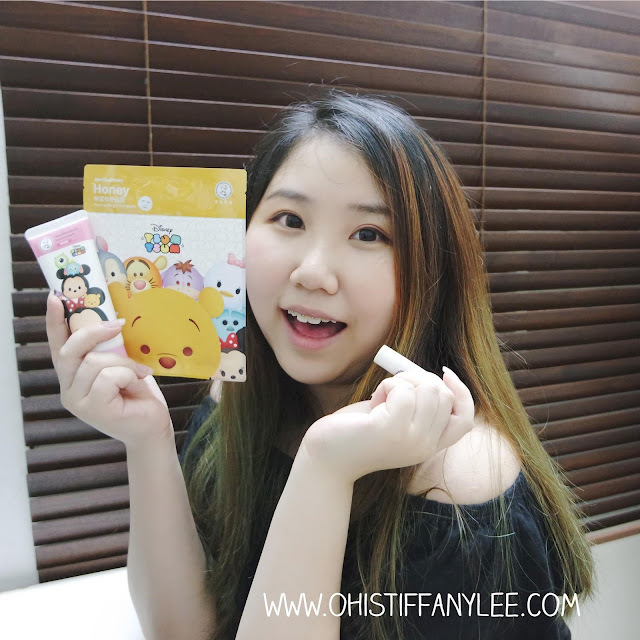 As you can see my post title, it's going to be the most "kawaii-looking' packaging among all beauty care in the market! 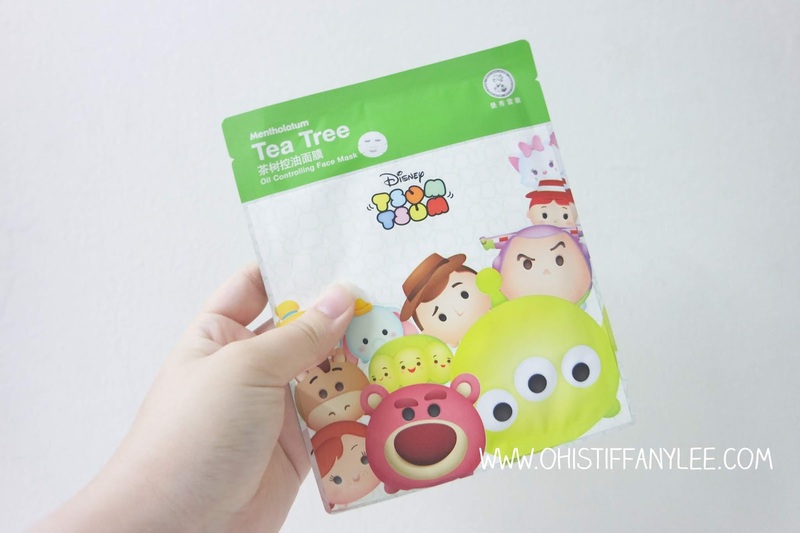 If you're big fan of Disney characters or Tsum Tsum, you will super excited because Mentholatum has launched Tsum Tsum collection! 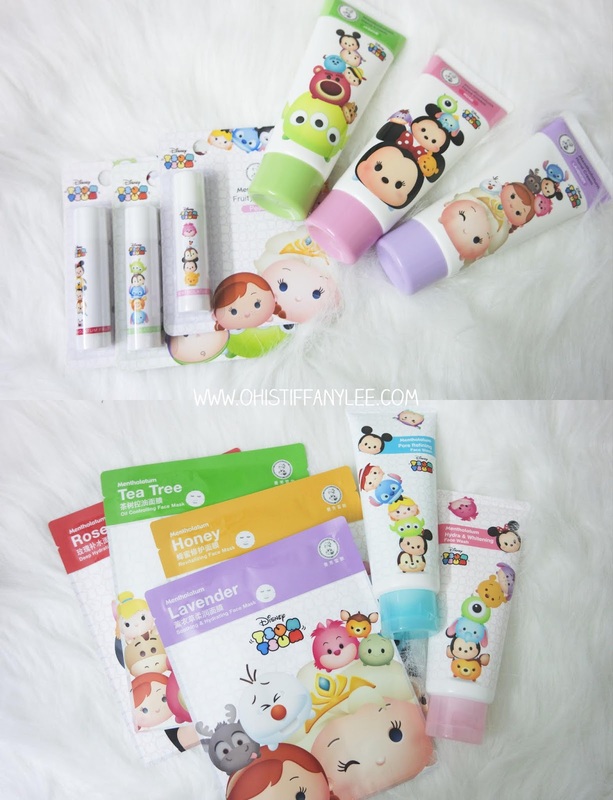 Tsum Tsum collection has include facial sheet masks, fruity lip balms, hand creams and also face wash. Let's look into it! There are three selection for this handcream, Jasmine (Green), Rose (Pink) and Lavender (Purple). It contains ultra moisturizing Almond Oil & Sunflower Seed Oil which helps to nourish, protect abd giving you a more youthful-looking skin. I put a small dime-sized portion on my hand to try out. 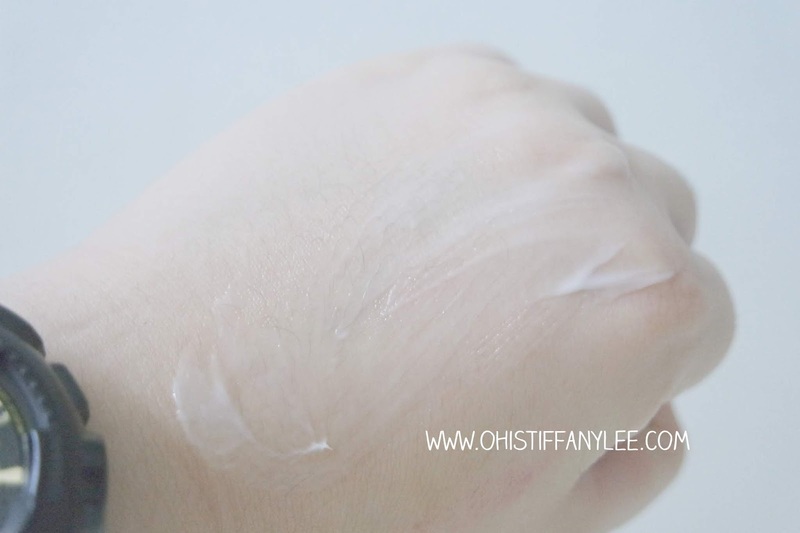 What I liked about this handcream is it does not make your hand sticky after absorbed. I thought the scent will very artificial but it smells much more better! 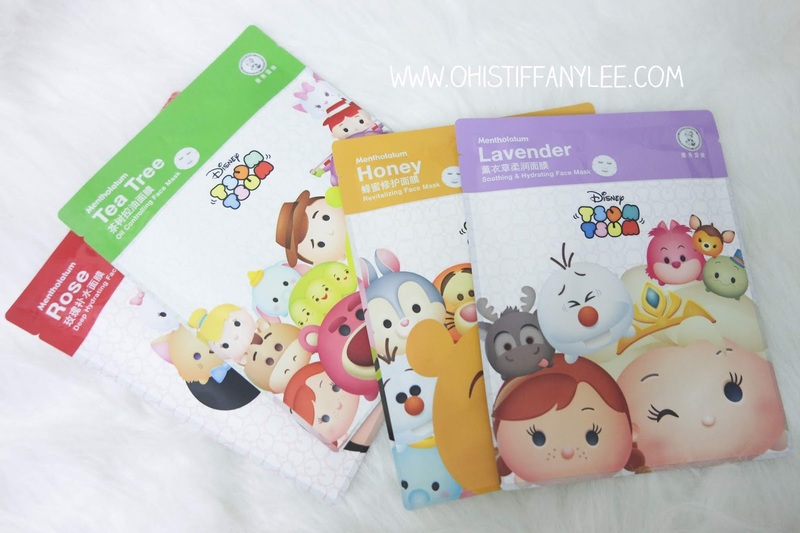 There are four type of masks available for Tsum Tsum collection: Rose, Lavender, Honey and Tea Tree. and it's for 4 different skin types. Each of these masks contain ingredients that help to improve the skin condition. Lavender: To help soothing, restore, nourish and strengthen the skin, leaving it refreshed and energized. Tea tree: Control excess oil, minimize pores for a more refined and hydrated skin. I recently super stress and cause my face keep breakout especially my forehead. 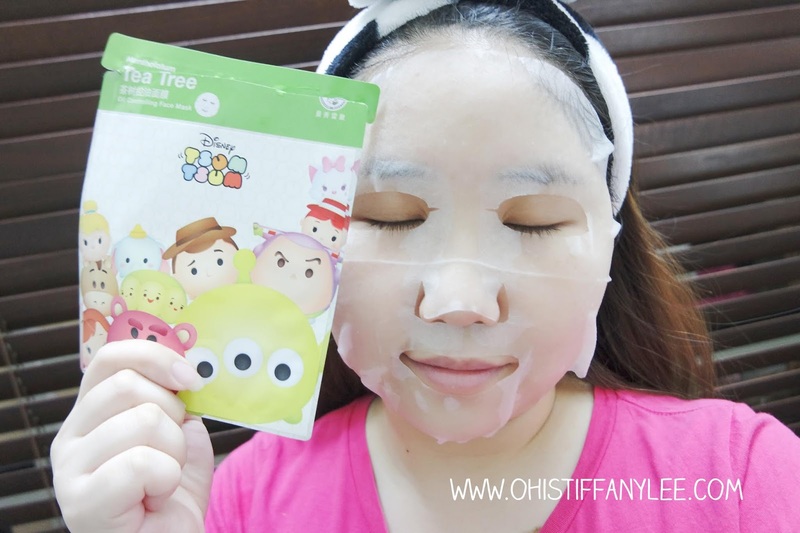 I couldn't say much about this mask by using once but I can say it does brighten up my skin. I will tried out the rest of the mask soon! 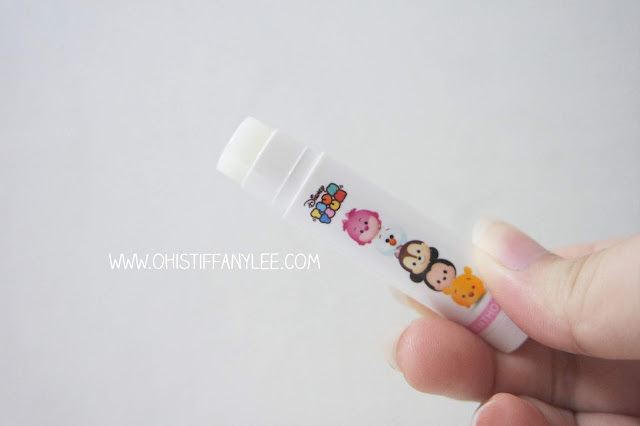 I always have a good impression with Mentholatum lip balm, this time they come out with Tsum Tsum packaging which makes it super adorable! This lip balm contains Vitamin E, Argan Oil, Meadowfoam Seed Oil and other moisturizing ingredient that protect your lip from harsh environment and long lasting moisture. It comes with 3 different types of refreshing fruity flavour such as Apple, Lime, and Peach. I tried out Peach flavour and it has a very sweet scent makes me want to lick it haha! 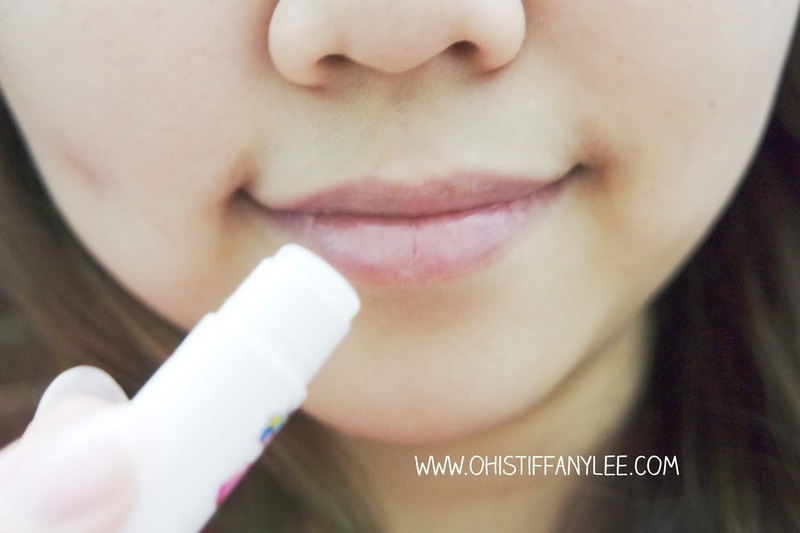 I feel my lip has become less drying and cracking after using it. Definitely will repurchase it! There are two variants which are Hydra and Whitening Face Wash and Pore Refining Face Wash.
Hydra & Whitening Face Wash: formulated with Arbutin and Rose extract, it helps to brighten and improve skin radiance for a more even skin tone. 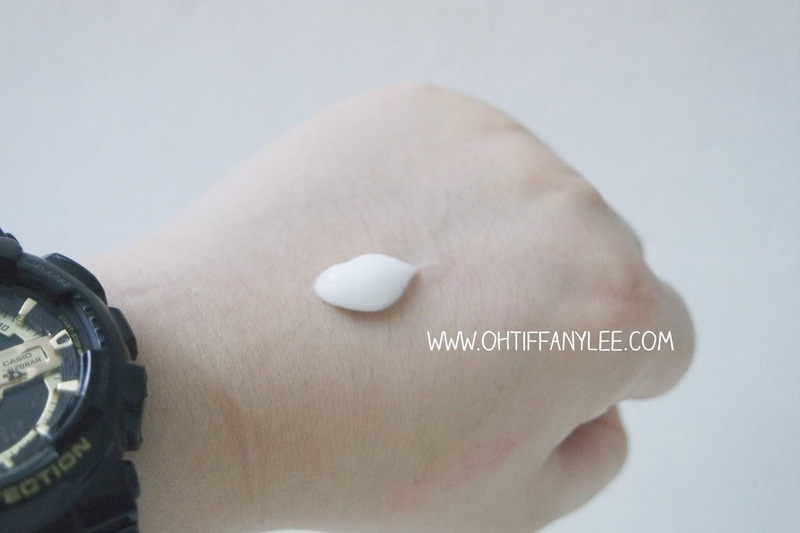 It is also enriched with moisturizing ingredients to help retain and replenish skin moisture. The natural rose scent brings freshness and comfort to the skin. Pore Refining Face Wash: helps to minimize pores and re-balance oil using Lentil extract for a more refined smooth skin. Formulated with Rosemary and Witch Hazel extracts the face wash helps to deep cleanse and purify pores for a healthy clear complexion. It is also enriched with Aloe Extract to soothe and moisturize the skin while the natural orange scent lifts your mood and refreshes the skin at the same time. Now you can get all of them at Watsons, AEON Wellness, Caring and Sasa nationwide. I hope my reviews is helpful & that's all about it, bye!